Venue: The Studio – King Edward Bay Golf Club, Groudle. Onchan. Cost: £20 – All Levels welcome. Come join Jeanne for a perfect wind-down from your week and the perfect preparation for your weekend. In this 75-minute Master Class your body will flow, unlocking the hips, elongating the torso, freeing the shoulders and opening the heart. Followed after by a juicy Savasana. Come along and enjoy! You don’t have to do anything; we will UN-do everything. Cost: £45 – All levels welcome. This DAY-WORKSHOP will be held Saturday morning/afternoon and expands into a deep practice with the Chakras. A handout on the Chakras is included in the workshop. Focuses on Chakras – ONE to THREE – for that is where most of our awareness resides and where most of us are stuck. We close with the expanded lightness from the Fourth Chakra. Students will be lead through a strong asana practice focusing on standing poses, hip openers, core strengthening, into healing backbends. 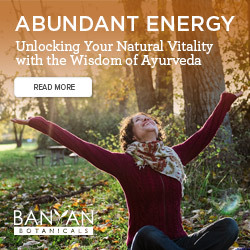 We will be introduced to Bandha work (energy locks), Pranavayus (energy channels), Mantra, Pranayama (breathing techniques) and will end in a Tantric meditation. Touches on the mornings practice and then proceeds to Chakras FIVE to SEVEN – the more subtle planes of awareness. Students will move through a practice focusing on supported inversions, Pranayama and Meditation. In addition to the earlier techniques mentioned, Mantra (chanting) and a guided Tantric meditation through all of the Chakras will close the day. A handout on the Chakras is included in the Day Workshop. 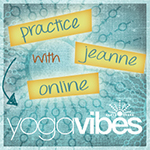 Jeanne and I would love you to join us for the day and would highly recommend to get the most out of the practices being taught, you will feel amazing guaranteed. Priority plus a 10% Discount will be given to students who attend both morning and afternoon sessions, highly recommended. Based on Iyengar yoga techniques, this workshop uses the wall as a strong and informative source of support. We will begin with simple poses to warm up the body and move into easy and demanding standing poses, feeling the power of the back leg and the support of the wall. Based on the level of the class, we then move into backbends, inversions and a variety of twists and forward folds to cool things down. Students learn how to remain stable and steady even in the most challenging yoga poses. Easy and difficult poses are explored and everyone’s level of practice is increased. + Payments can also be made either through direct transfer, cheque or cash. + Please contact Esther to receive a booking form or for more information. Once payment is received, your booking will be confirmed.